MPC X & MPC Live Tutorial: Creating The Clap From Hell! 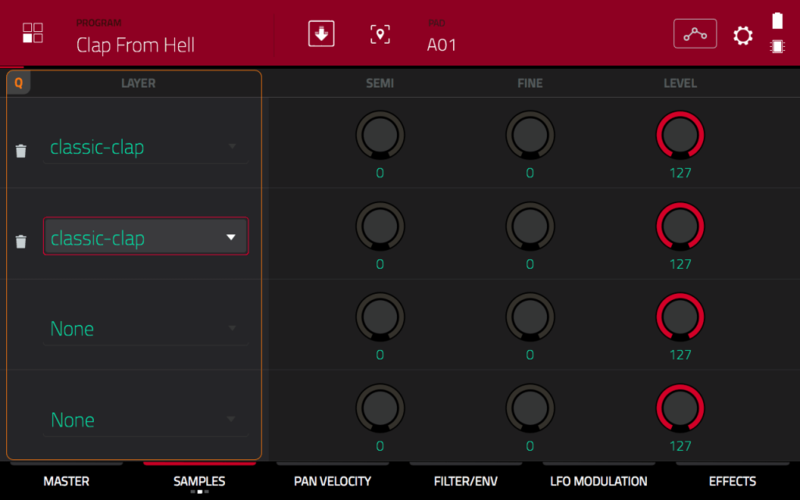 Home > MPC Live Tutorials > MPC X & MPC Live Tutorial: Creating The Clap From Hell! 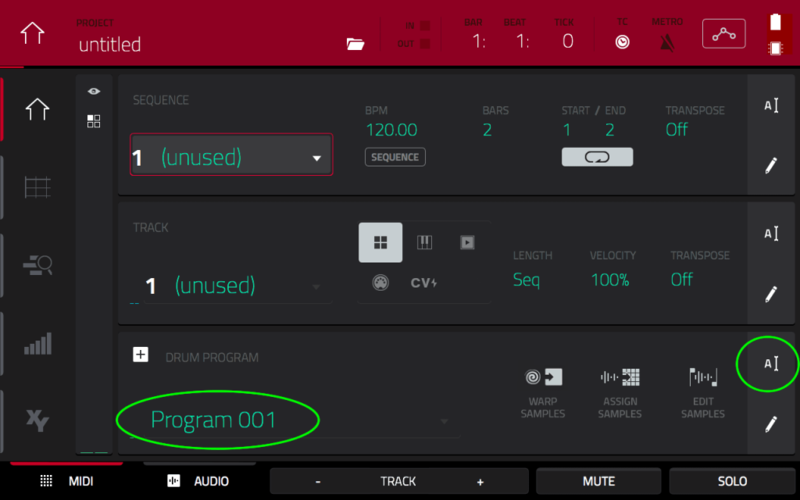 In this MPC and MPC Live tutorial (adapted from my book, The MPC X & MPC Live Bible), I’m going to transform an innocent clap sample into a thick and gnarly beast of a clap using nothing but the tools available in a standard MPC X/MPC Live DRUM program. 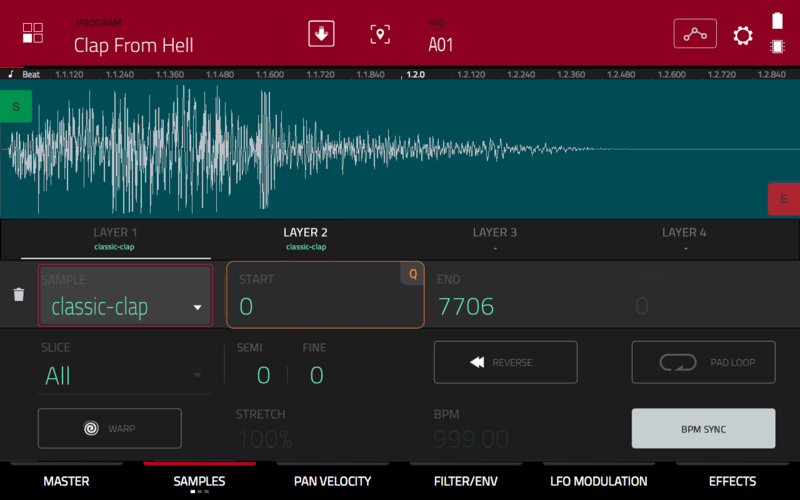 Firstly, download the tutorial files, then unzip and transfer the ‘Clap From Hell Tutorial Files’ folder to your MPC X/MPC Live. 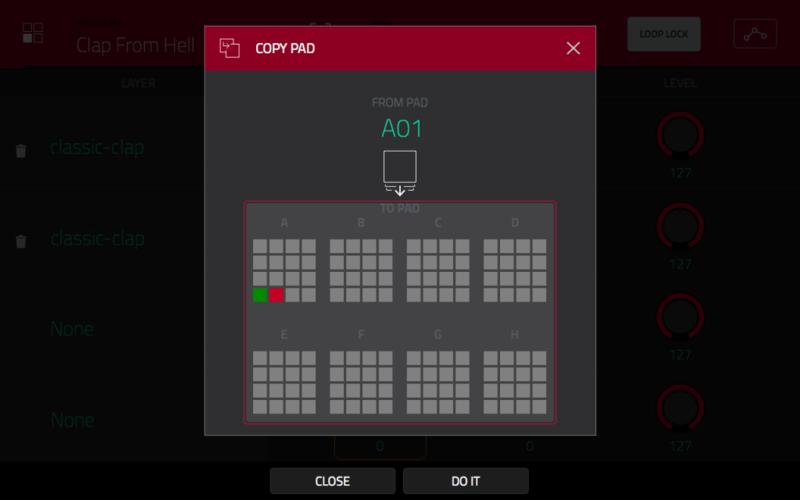 The easiest way to do this is to enter ‘controller’ mode and transfer the files to an SD card or USB stick, but you can also copy them to an internal SATA drive if you have one installed. For more information on how to transfer files to your MPC Live or MPC X, check out my ‘MPC Live & MPC X: File Transfers’ guide over at MPC-Samples.com. Tap the ‘A’ icon at the end of the row to bring up the on-screen keypad; rename this program to ‘Clap From Hell’. 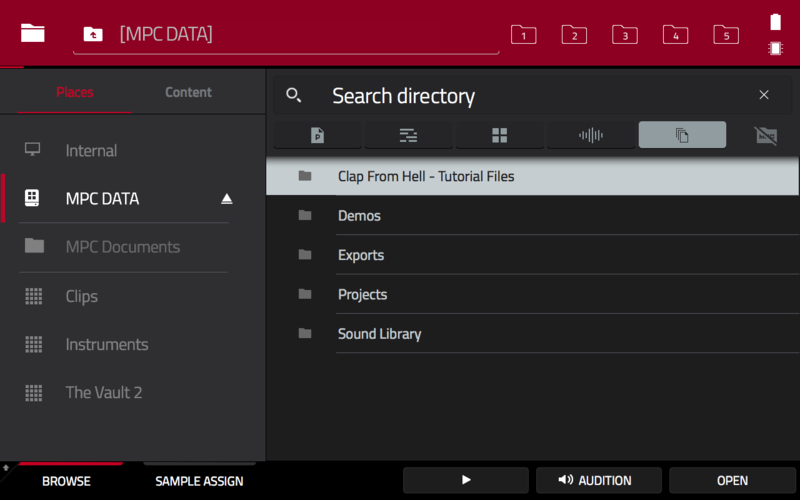 Go to the BROWSER, select Places and navigate to the disk where you transferred the ‘Clap From Hell Tutorial Files’ folder (in my example I’m using an SD card called MPC DATA). 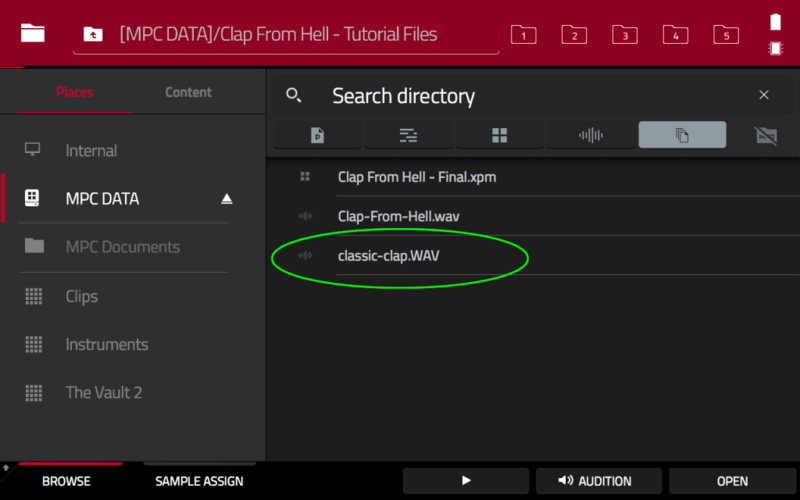 Now double click the ‘Clap From Hell Tutorial Files’ folder to enter it. Press pad A01 so it becomes green – this tells the MPC that the next sample loaded should be assigned to pad A01. Locate the classic-clap sample and double tap it to simultaneously load it into your project and assign to pad A01 (alternatively, single tap the file and press the LOAD button). Hit A01 to have a listen to our clap. It’s a very standard clap sound, nothing special, but we’ll soon change all that. Tap in the SAMPLE field and turn the data wheel clockwise (or hit the + button) to change this from ‘None’ to ‘classic-clap’. Alternatively you can assign samples to multiple layers in the second SAMPLES screen. Notice how the ‘Samples’ tab has three dots underneath? 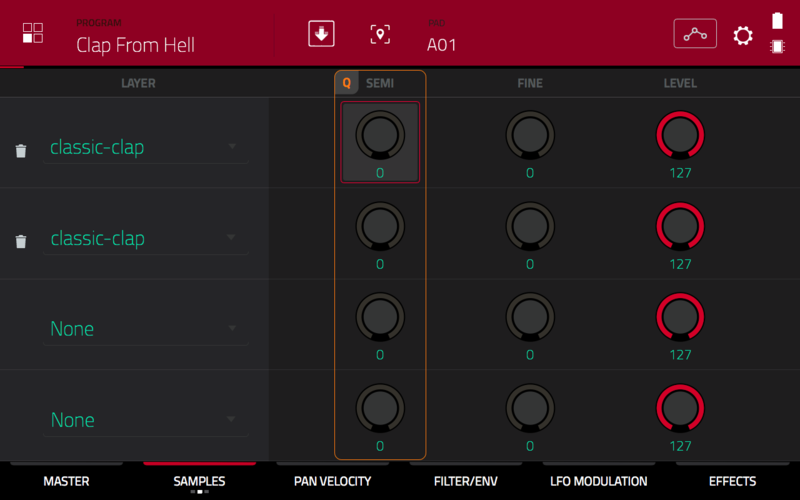 Here it’s more clear how the samples are currently stacked on top of each other, so when it comes to initially layering your samples you can choose whichever interface you find more intuitive. Preview pad A01 to hear the results so far. This is the OFFSET screen. What we want to do now is to ‘offset’ the two layers against each other, so rather than both layers play exactly in unison (which often leads to phasing when the layers are both playing the same sample), the playback of one layer is slightly delayed compared to the other. If you find using your finger a bit too clunky on this dial, you can just single tap the slider and turn your data wheel anti-clockwise. This will adjust the offset in units of 100 (per wheel click). For even greater accuracy, hold down the SHIFT button while you turn; this will change the offset value in single units. As you can see, to adjust the LAYER 2 OFFSET, turn the second dial from the top in the 2nd Q-LINK column (holding down SHIFT also improves accuracy with the Q-LINKS). At lower negative values (e.g. -100), the two layers are just phasing, however as you reach -1200 or greater, the phasing is gone and now we are instead getting a different type of sound – the clap is now ‘dragging’, it sounds a lot thicker and has much more presence. 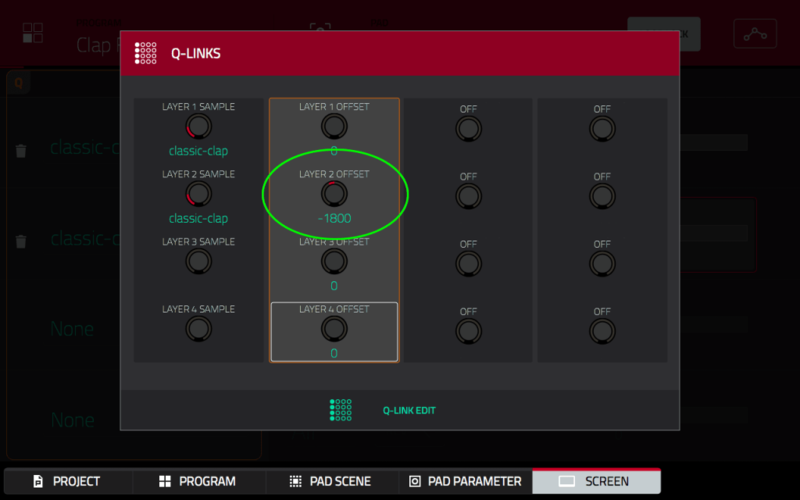 If you set the offset too high it becomes less of a ‘drag’ and more of a ‘double’ (or a ‘flam’ in drummer terminology). Set your OFFSET to somewhere around ‘-1800’. Sounds good, but let’s not stop there – this clap is just too perky for my liking, so it’s time to adjust the tuning. I want to give this clap a deeper, darker feel, so I’ll need to tune it down using a negative SEMI value. Set SEMI for LAYER 1 to a value of -4. For quick little changes like this I tend to just single tap and turn data wheel. Now adjust the SEMI dial for LAYER 2, but this time set it to -5. By tuning each clap layer slightly differently we further differentiate the two layers from each other while also creating an interesting mixture of slightly different timbres. Press pad A01 to hear the our layered clap – it’s now darker and feels even more ‘dragged’, all thanks to the simple tuning changes. Don’t forget to experiment with different tuning combinations to achieve very different sounding layers. 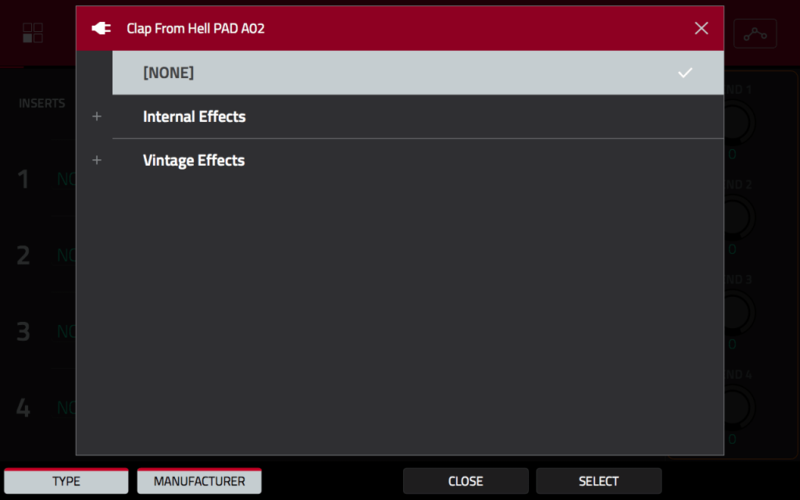 In the EFFECTS page we can insert up to four different effects on our pad – remember effects are applied to the entire pad, it’s not possible to add them selectively to individual layers. 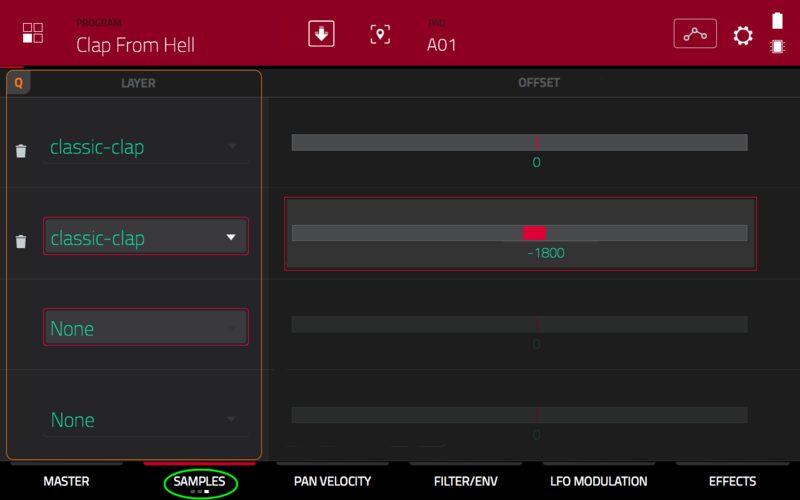 With both the TYPE and MANUFACTURER buttons enabled, tap on the ‘+’ icon to the left of ‘Internal Effects’ and under ‘Akai Professional’, select the ‘Resampler’ effect. 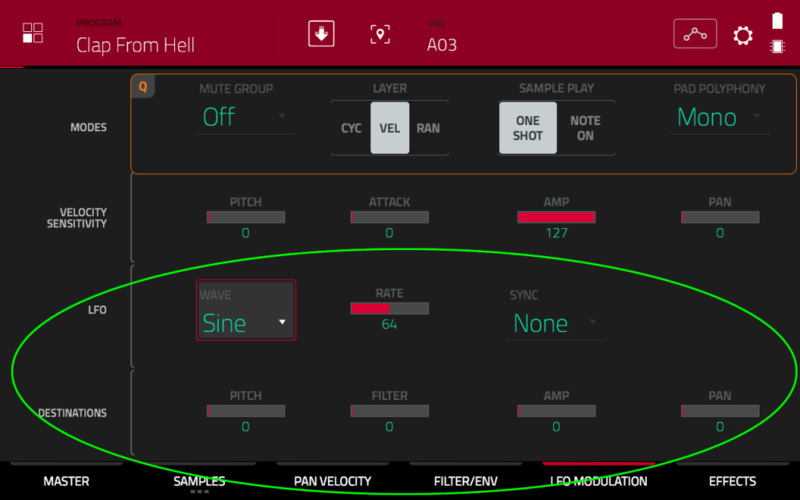 This brings up the settings for the Resampler. 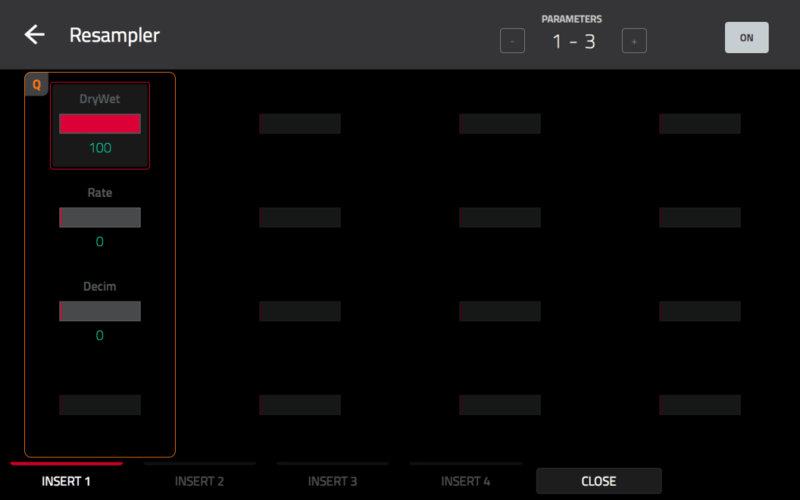 As you can see the resampler is a very simple effect to edit. The Rate value changes the bit rate of your sample, giving it a more crunchy vibe. Try a setting of 19. The Decim is the ‘decimator’ setting – try sweeping through this while continually hitting pad A02 until you find a sweet spot. I settled on a value of 41. Press CLOSE to return to the main EFFECTS page. The SP-1200 effect emulates the output of a classic EMU Sp1200 sampler, adding both warmth and some subtle crunch. There’s no configurable settings for this effect. 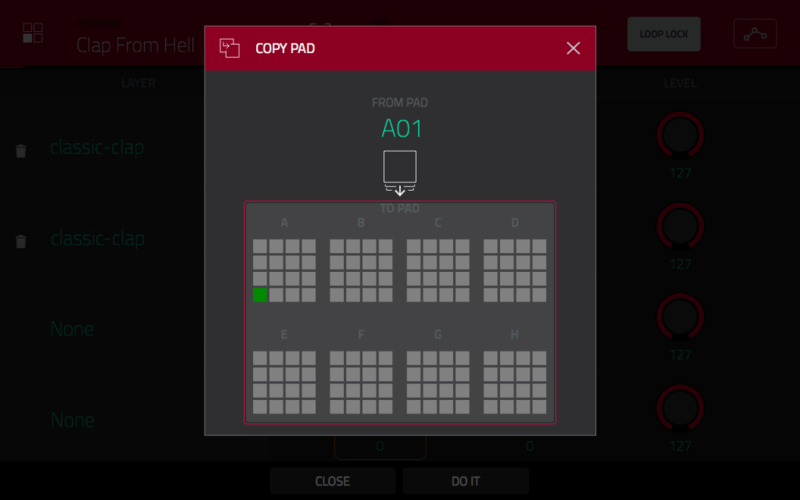 Have a listen to pad A02 and compare it to pad A01. It definitely sounds like it’s spent some time hanging out in some old 12 bit samplers… but can we do even more? I spend a lot of time in ‘The MPC X & MPC Live Bible’ looking at filters and LFO, including detailed information on what they are and how they work, but to wrap up this excerpt from the book, I thought I’d very quickly show you what’s possible using a combination of low pass filter and a NOISE wave LFO. On the LFO row, change the WAVE type from Sine to Noise. Leave all other settings as they are. 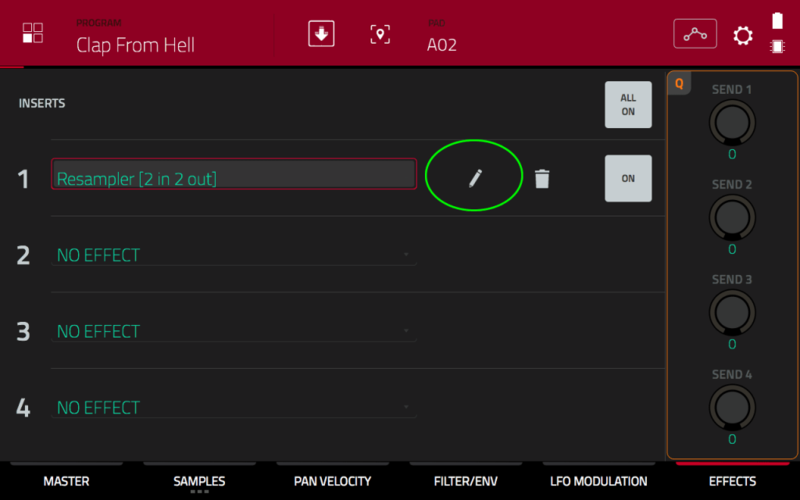 On the DESTINATIONS row, set the FILTER to 127.This means that the LFO will modulate the filter on our pad using a NOISE wave modulation. 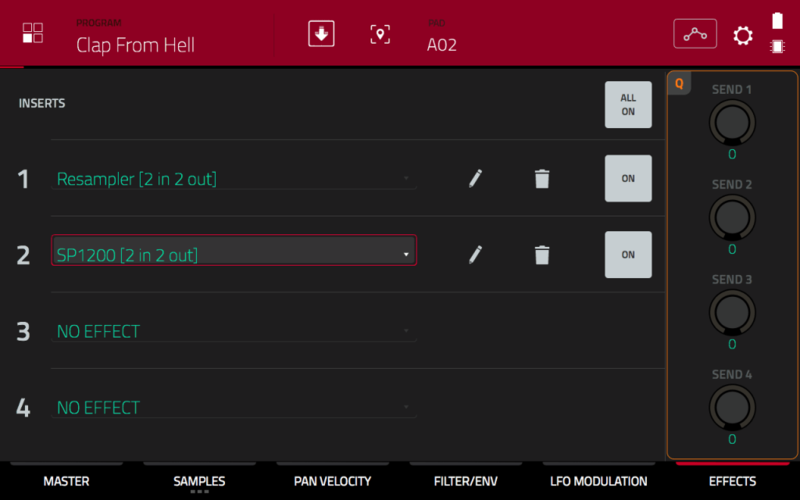 Here’s what the LFO MODULATION page should now look like. In the top FILTER row, set the filter TYPE to ‘MPC’ (it’s the last filter in the list). 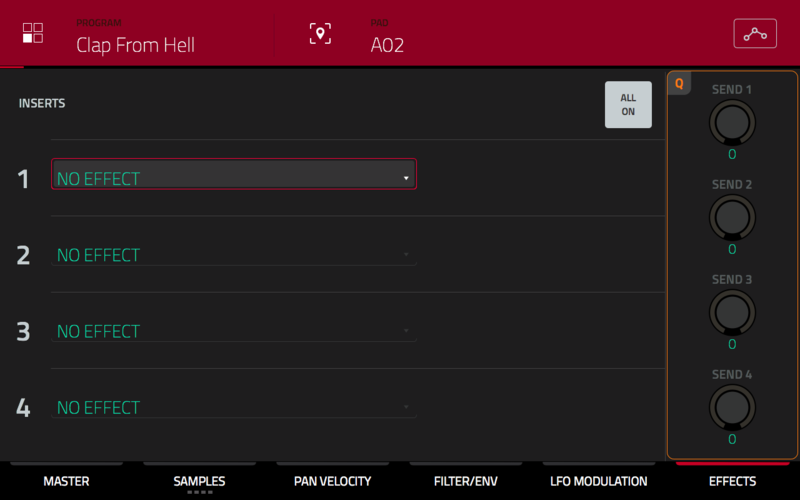 We’re now going to have some fun with the filter CUTOFF (which controls the frequency the filter acts upon). While continually playing pad A03, start reducing the CUTOFF value using either the data wheel or the second Q-LINK dial from the bottom of Q-LINK column 4. By the time you are approximately halfway you’ll hear that the clap has taken on a very crunchy sound that almost sounds as if the clap is breaking apart. As you reduce the CUTOFF value even more, this effect becomes even greater until eventually the clap is barely holding itself together! 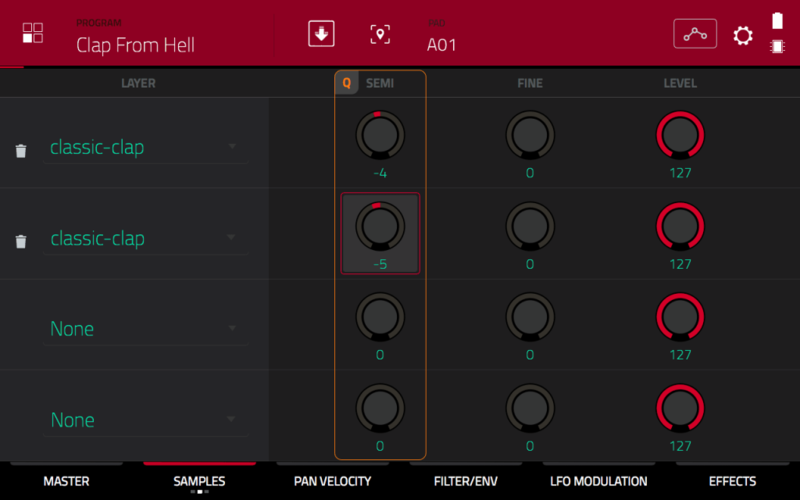 I really like what I’m hearing at a CUTOFF of 64 – a true ‘clap from hell’:) You might also hear that our clap sounds very slightly different each time you hit the pad. This is the random nature of the NOISE wave changing the way our LFO modulates our sample. 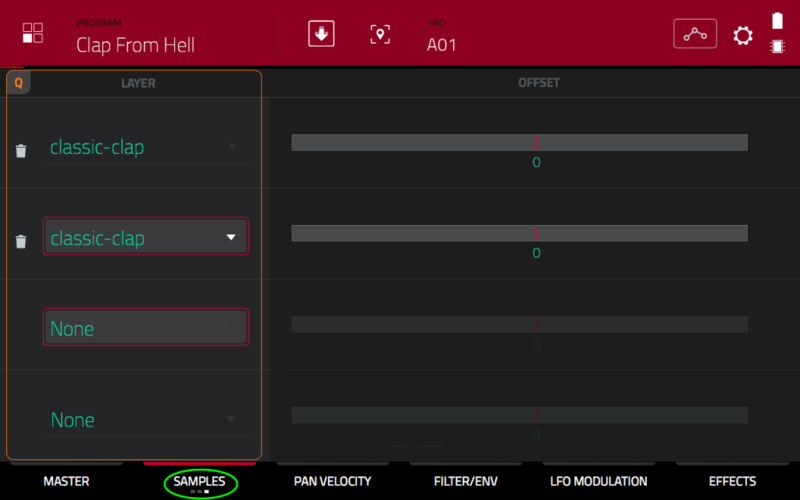 Remember you can make a ‘portable’, standalone version of your pad experiments, either by using the ‘FLATTEN PAD’ icon at the top of your screen in PROGRAM EDIT, or by resampling the output of your pad in SAMPLER mode. And while the original clap sample was in mono, you can experiment with your pad layer ‘PAN’ settings to easily transform your claps into stereo. 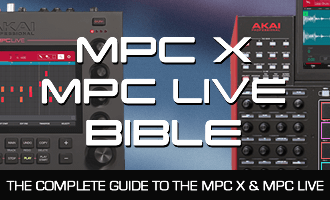 I cover all these techniques and much more in great detail my hands-on tutorial course ‘The MPC X & MPC Live Bible’, jam packed with practical MPC tutorials covering sound design, chopping, sequencing, instrument programs & multisampling, drum kit building and much, much more. In the meantime, head back to the BROWSER and load up my final version of this program – ‘Clap From Hell – Final.xpm’. This includes the three unique clap pads we made in this tutorial (pads A01, A02 and A03), the original (single layer) clap on pad A04, a stereo version on pad A05 (made by adjusting each layer’s panning setting in the PAN VELOCITY page), and a resampled version on pad A06. Which one do you like the best?